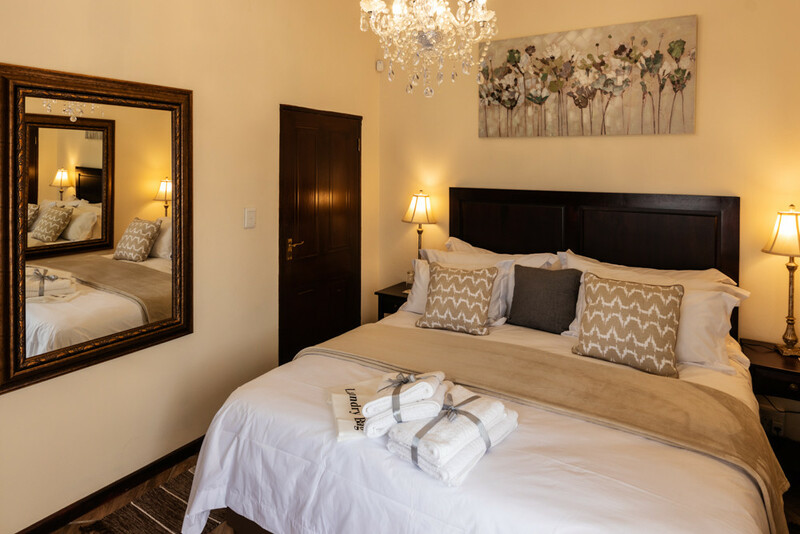 Amery House is in Summerstrand,Port Elizabeth.Port Elizabeth International Airport,Nelson Mandela University,Cape Recife Nature Reserve and the Humewood Golf Course.THe Boardwalk,Casino and several Blue Flag beaches only 5 minutes away. 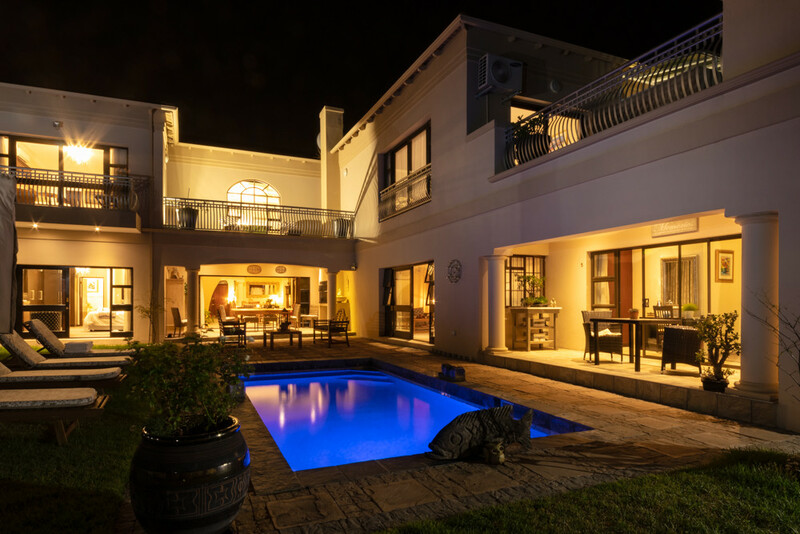 Our Newly refurbished Tuscan Villa situated in the heart of Summerstrand, Port Elizabeth has been particularly designed with the traveller at heart. 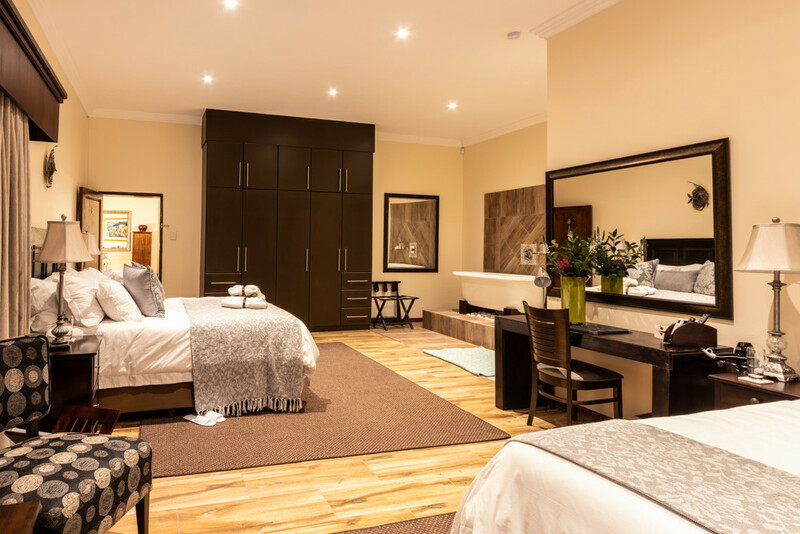 Tastefully decorated with unexpected large rooms gives the traveller a feeling of peace and tranquillity, spaciousness coupled with views of vast open bushlands with the sounds of birdlife to waken you. Situated just a mere 5 Minutes to all the restaurants and Boardwalk and Casino and within an easy 10-minute reach of Port Elizabeth Airport. The Nelson Mandela University is within an easy 5 Minutes Drive. 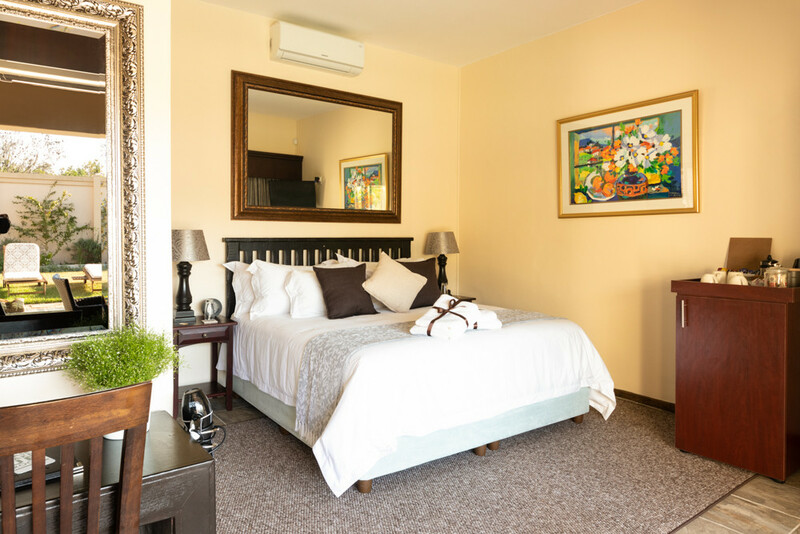 The rooms are designed with comfort and Luxury in mind. 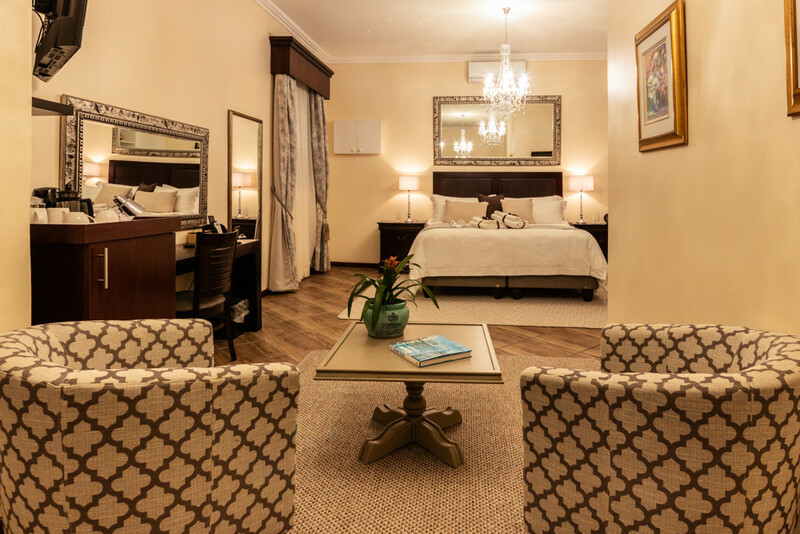 All guest suites are fully equipped with Large king size beds for relaxation. 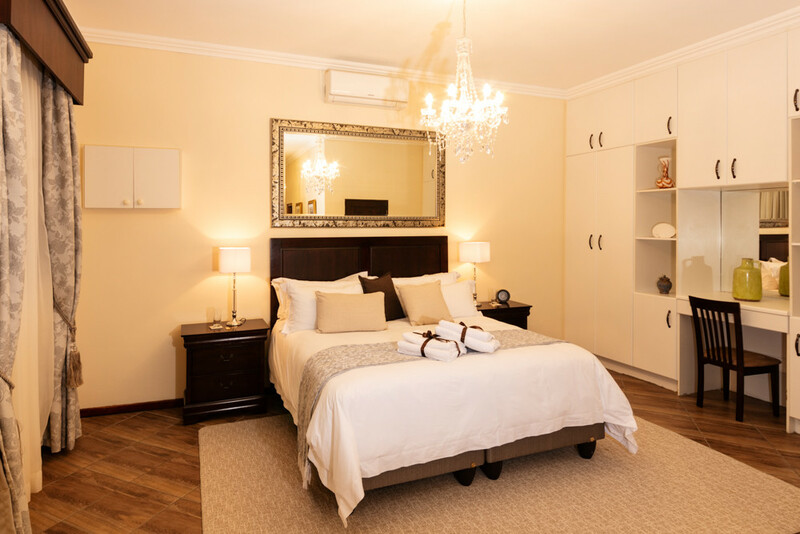 Crisp white linen, Gowns and Slippers, hairdryers provided for our discerning guests. Each room being Fully Air Conditioned, Tea and Coffee Facilities, Honesty Bar, Laptop Safes, Plasma TV with Satellite bouquet are provided. En suite bathrooms to match the eclectic design offers both baths and showers and one may even surprise you with a skylight shower giving you the feeling of being under the stars, surrounded by the beautiful landscape while having a rain shower. Set in the Tranquil garden, guests can relax and enjoy a sunbathe on some of the room’s private balconies or around the pool where the company of other guest will delight you with their tales of their sightseeing trips. 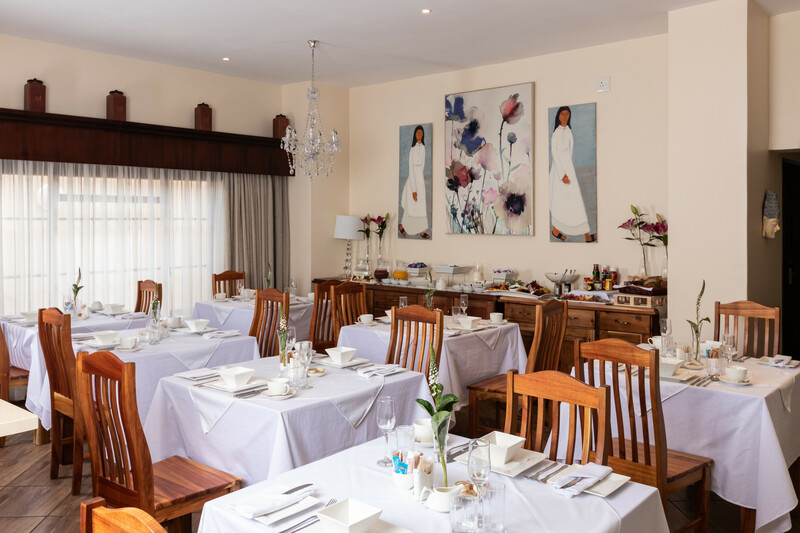 Guests can start the day with a scrumptious Continental breakfast or be served a culinary delight by resident owner chef. Dinners are in house prepared on request. 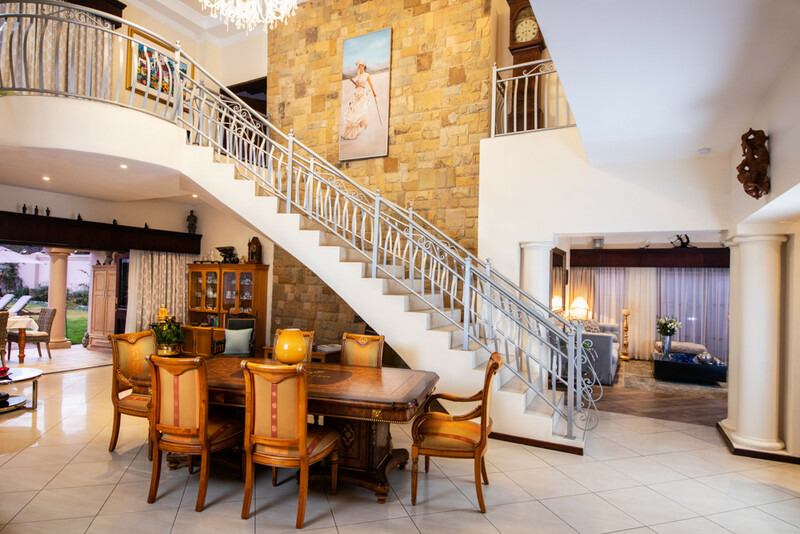 WELCOME to our Home, where You arrive as Guests, return as Friends and visit as family.